We believe that a man’s scent should make a statement when he enters a room as well as when he leaves. The fragrance brand guaranteed to speak along those lines this winter is no other than New York based, Le Labo - a brand with a vision to recreate luxury perfumery. Le Labo has crafted a wide range of fragrances, each uniquely and intoxicatingly resplendent. Here at BOND OFFICIAL, the best loved from the wide ranging collection is none other than the subtle, but sensual Santal 33. Featuring notes of violet accord, iris, leather and sandalwood to present such a woody and plush scent, it is safe to say we consider Santal 33 a signature fragrance. Perfect for long cold nights, and experiences that linger. Honorable fragrances to mention from the attention grabbing collection include Neroli 36, Another 13, and Bergamote 22. 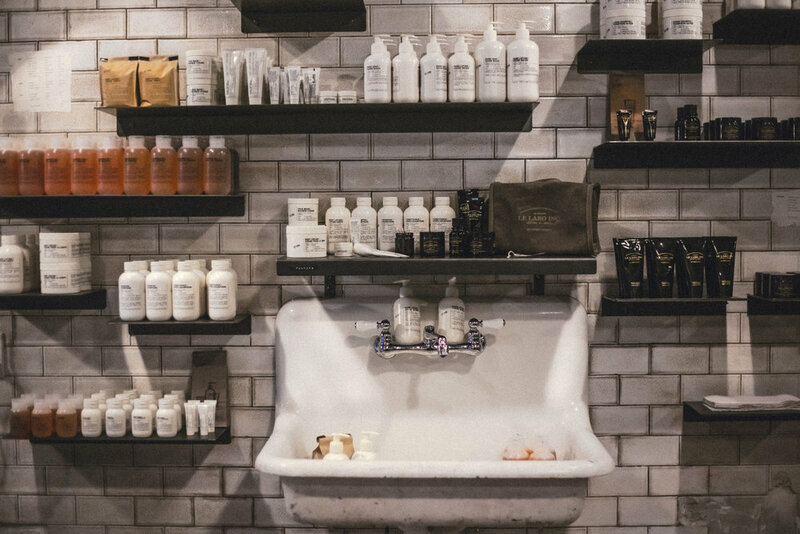 All distinct, hand crafted, and made to order in a variety of forms including shampoos, conditioners, candles, and shaving creams, Le Labo proves to be the ideal finishing touch to a man’s grooming regime. You’ll be sure to have others coming in close when you arrive, and thinking of you when you leave.